What is involved in a typical voluntary and community sector merger? If you are curious about what a voluntary and community sector merger involves, this should answer your questions. As Legal Adviser with CollaborationNI since 2011, I have supported a number of successful mergers between Northern Ireland voluntary and community sector organisations. Before joining NICVA in 2010, I was a private sector corporate/commercial and charity lawyer for 8 years. I am often asked about what is actually involved in a merger. Because people do not understand the process, mergers often seem especially frightening. Although every merger is different, there is a pathway along which all merging organisations travel. ‘To merge or not to merge’ really is a big question! When CollaborationNI first started in 2011, there was perhaps an expectation that a great deal of the programme’s legal support would be spent working on mergers. And there has been a steady trickle of successful mergers supported by CollaborationNI: - Fermanagh Community Transport; CDM Community Transport; Top of the Hill & Hillcrest House; and Early Years & Orana Family Centre. Nevertheless, in practice, the bulk of CollaborationNI’s work has been involved in supporting other forms of partnership working – such as consortia-building and the formation of alliances. Perhaps this is because mergers are hard work. Certainly they are usually time-consuming, expensive and stressful. They are not always the only or the best solution to an organisation’s perceived challenges. Nevertheless, if there are good strategic reasons for merger, they can be the right course of action. A merger is essentially where two or more charities come together to form just one organisation. All the assets and liabilities, the services and the employees come together into one organisation – with a single name, a single mission, a single governing body and a single constitution. There are different ways of achieving this. One is to form a brand new charity – usually a charitable company limited by guarantee – and transfer all the assets and liabilities of both the merging charities into this new company. The advantage of doing this is that neither charity feels like it is being taken over. The disadvantage is that the process can end up taking longer – because you have to wait for the new company to be granted its charitable status before you can complete the merger. There is also the ‘transfer of charitable undertakings’ route. In many ways this is a euphemism for a takeover. All the assets and liabilities of one charity are simply transferred across into another. This can be done sensitively however – in a way that makes it feel more like a merger of equals. How long does a merger usually take? Lawyer’s answer - it depends. Mergers can take a long time. Our experience has been that they usually take between 9 months and 2 years. It is possible to do a merger in 6 months – but this hasn’t happened yet for CollaborationNI. Funders are occasionally willing to help with these costs. But perhaps reasonably enough, funders prefer to see their funding used to provide front-line services directly to beneficiaries. There is therefore sometimes a reluctance on the part of funders to fund professional fees. If that is the case, the costs of any merger might need to be funded from reserves – and not every organisation has sufficient reserves for this. Importantly, mergers also require a great deal of investment in terms of senior management time and board time. In our view this is the biggest cost to the organisations involved as it is extremely difficult for them to focus on strategic planning beyond the date of completion. This is because, in practice, a merger consumes a huge amount of the senior management team’s energy – and takes resources away from other projects. What are the steps in the Merger Process? There is no set formula for how you should progress a merger. In terms of process, most mergers are quite messy. In practice, they feel even messier to those most directly involved. 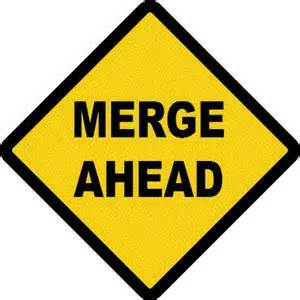 The decision to merge is often a huge development in the life story of the charity – and the only guarantee is that there will be lots of bumps along the road to completion. There does therefore have to be a strong business case. Both the board and the senior management team need to be clear what that business case is. Is the decision to merge a strategic choice – or is it a response to a perceived crisis? If there is a serious obstacle in the process, leaders will want to be able to remind themselves and their colleagues exactly why merger is a good idea. Voluntary and community sector leaders will need to be able to focus on the agreed strategic vision for a merged future. They will need to keep their eyes on this particular prize - therefore it has to be worth it! But how do you decide whether the prize is actually worth it? In business negotiations, a common test is ‘what’s in it for me?’ In the voluntary and community sector, perhaps a better test is ‘what’s in it for our beneficiaries?’ It is important to keep the best interests of your beneficiaries central to your thinking (even above the best interests of your organisation). Each organisation will have to decide for itself whether merger is the best course of action. CollaborationNI can provide legal support and facilitation to organisations to help them decide whether merger really is the best strategic option for them. What is the name of the new organisation going to be? Who is going to be the CEO? What will the constitution be like? What will be the objects of the merged charity? Who is going to sit on the board – who will be the chair? What is the agreed timeline – and the target date for completion? Once again, CollaborationNI can provide support and facilitation to put Heads of Agreement in place. It is good practice to set up a steering group to manage and lead the merger process. Sometimes that steering group will morph seamlessly into the new management committee or board of directors. As Legal Adviser with CollaborationNI, I have sometimes effectively become a member of the merger steering group, keeping the merger on track and providing a ‘handholding’ support service. This is particularly important in the early stages of the merger before solicitors and other professional advisers have been instructed. A merger is like a marriage. Before we agree to commit the rest of our lives to another person, most of us would prefer to have some idea about what might be in store. If there are skeletons in the closet, it is better to know about them beforehand. The same is true for a merger of organisations – and that is why it is vital to conduct due diligence. The due diligence process should look at all aspects of the organisation – and identify possible concerns. establish whether there is any expensive litigation in the pipeline. As soon as the merger completes, the other organisation’s liabilities become your organisation’s liabilities – so it is essential to know what those liabilities are. In that way it is possible to make an informed decision as to whether you want to go ahead. We met with one newly merged organisation a few years ago, shortly after CollaborationNI had been set up. Worryingly, we were told that they had merged without any support at all from solicitors or professionals. They had done no due diligence at all. And, as soon as the merger completed, one organisation discovered that the other organisation had approximately £50,000 of debts. The organisation did survive – but this level of debt did cause an early crisis for the newly merged organisation. Upon completion, a merger or transfer agreement is usually put in place. This is the document which legally transfers all the assets and liabilities and employees across to the new charity. CollaborationNI will only have minimal involvement at this stage. Completion of the merger is driven by the organisations’ professional advisers. In many ways that is when the hard work begins. arranging a media launch and a celebration. In CollaborationNI we continue to support collaborations, even once a merger has completed. As already mentioned, mergers are often hard work, time-consuming, expensive and stressful. If done well however, mergers can also be extremely rewarding - strengthening the charities involved and providing better and more sustainable services to their beneficiaries. It has been our experience that good collaborative working is all about the relationships and the people. Organisations don’t collaborate, people do. And this is especially true of mergers. CollaborationNI is all about moving organisations through a process of change. We work intensively with organisations to consider strategic options, agree common goals and establish processes to reach those goals. CollaborationNI is fully funded by the Building Change Trust – so our merger support is free. It is also confidential and tailored to your specific needs. In a merger however, professional advice from solicitors/accountants will always be required. If you or your organisation are interested in finding out more about what is involved in a merger, we are happy to help.